According to a Guardian report May 24, 2010, Israel has proven itself to be in possession of nuclear warheads with a document now de-classified. With Israel and the Iran situation playing an important narrative on the world stage presently, with Trump having pulled the U.S. from the Iran Nuclear agreement set up by his predecessor, Obama, who handed the green light for Iran to go nuclear, and therefore handed a trump card to the Committee of 300 to release a nuclear strike upon the U.S. itself, and hold the ability to thrust the blame squarely on Iran. This same group has also announced that Isis have the capacity for biological capabilities as Europe is swamped with migrants from the war torn Middle East, but more importantly, while all eyes are on Syria, the major thrust of immigration into Europe comes out of Africa. This again sets up a scapegoat for the Zionists to loose biological attacks and blame the immigrant. They are preparing a script for false flag and subconsciously planting the official story in the minds of the populace, let us hope the unravelling of the official story for 911 will enable the masses to see through the coming second phase and ‘act’ called ‘nuclear false flags’ for more powers to the corporate governments. You may call me cynical but I see in this tale a possible means to fully demolishing the laws of Great Britain through the activation of the corporate formed Contingency Act 2004. There is yet another question that needs to be raised, we need to understand why Israel Acts in the way it does, knowing full well each time they act, they are seen by the world as no different to the scenes in Germany before and during WWII. There has to be a lot more to this story than is currently on the tables of the entire political class, this report aims to present another level of understanding as it relates to all things Israel and global Intelligence specifically as it relates to the grip they hold on bankrupt and terrified governments. The top secret minutes of meetings between senior officials from the two countries in 1975 show that South Africa’s defence minister, PW Botha, asked for the warheads and Shimon Peres, then Israel’s defence minister and now its president, responded by offering them in three sizes. The two men also signed a broad-ranging agreement governing military ties between the two countries that included a clause declaring that the very existence of this agreement was to remain secret. The documents, uncovered by an American academic, Sasha Polakow-Suransky, in research for a book on the close relationship between the two countries, provide evidence that Israel has nuclear weapons despite its policy of ambiguity in neither confirming nor denying their existence. The documents show both sides met on 31 March 1975. 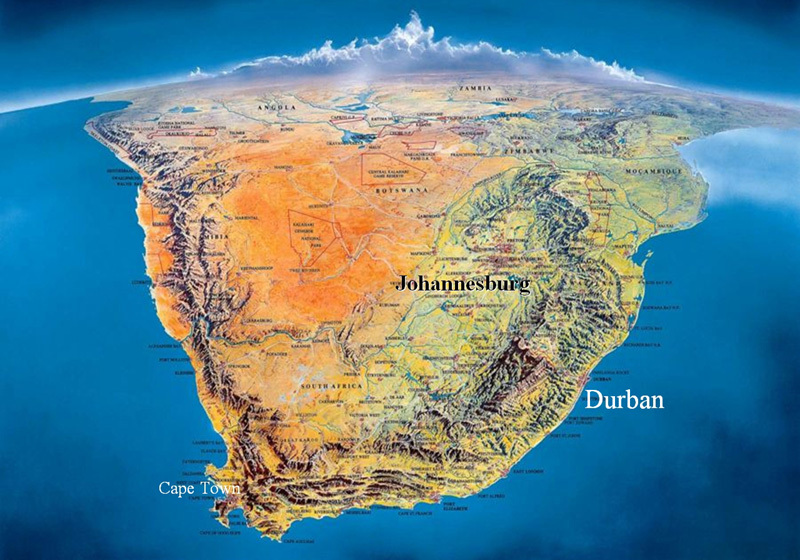 Polakow-Suransky writes in his book published in the US this week, The Unspoken Alliance: Israel’s secret alliance with apartheid South Africa. At the talks Israeli officials formally offered to sell South Africa some of the nuclear-capable Jericho missiles in its arsenal. 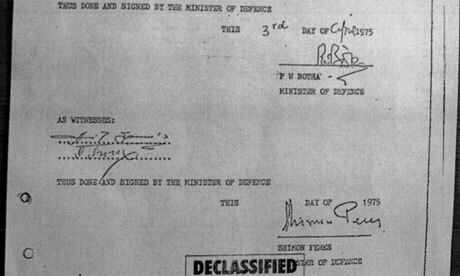 Some weeks before Peres made his offer of nuclear warheads to Botha, the two defence ministers signed a covert agreement governing the military alliance known as Secment. It was so secret that it included a denial of its own existence: It is hereby expressly agreed that the very existence of this agreement shall be secret and shall not be disclosed by either party. So there we have it, according to the Guardian the story is over, Israel is naughty and so are the South Africans. As with the Weapons of Mass Destruction, the spin child of Blair /Campbell and co, totally floored yet still they present the lie each time they get camera time. To fully understand why our politicians act contrary to their presented beliefs as they bay for the vote, as soon as they gain office, has to be under a cause so great none dare act contrary. This is were the Crown comes into play. lifeinthemix has worked hard to expose the corporate centre of the British Empire, itself only a front for the elite banking bloodline families, to be found on the Buckingham Palace Ley Line, within a complex we named the John Adam Street Gang, and not without good cause I might add. Through the civil departments and corporate operations within this complex, is to be found every conceivable requirement for absolute control, not only of this nation, but across the globe, coordinating the de-industrialisation of this nation, and coordinating the relocation to their new Eastern front in China and for what seems more and more to be transitionary phase only, India. This complex is big in all things global and bigger so in full control of all things contingency and resilience, data-collection, storage and trafficking. What is it we seek? We are seeking out an even higher level of control than that of our governments, one which dictates all threats and dangers under which each new government must toe the line, we are of course speaking of the dreaded advisor. This is were the John Adam Street Gang come into play, (Adelphi House) as from here is this dictate descended across our entire political and civil sectors. So it would then fit quite soundly that our politicians and governments act contrary to all promises on which your vote was gained, or once elected they are imparted a script so compelling in its nature they forget all thoughts of manifestos. Present this scenario across the globe, and you have the real picture of why governments act contrary to all sanity. In that sense we need to keep our governments and lose the bankers, which means we lose around 70% of current Intelligence commanders. With that in mind, the same stratagem has to be playing out by some means over Israel, only this time we are looking at the means to keep up the idea that Israel at every moment, is about to be wiped off the face of the earth. Someone tell them, not until Obama gives Iran a nuke. The following should indeed produce insight into the very reason such events as witnessed recently by Israel, albeit not an excuse, they do have a reason why such actions repeat always. Here we have a story from a very valid source whom shall remain anonymous for the safety of all concerned. Absolutely none of the above do we want as a consequence, but in light of what is going on between Israel and Turkey, a glimpse into the script under which those we elect very soon realise, the script they had before has just been upgraded. The Crown and global Intelligence are the high level script writers for all governments to Act under. They also via intelligence create the backdrop to the script. Terror is the current backdrop : of violence, financial calamity, social calamity, environment calamity, ad infinitum. Calamity is the backdrop, they want all to act in fear and run for protection, to whom do you run? Intelligence. This is what needs to be fully understood if we are to stop the destruction of our country and our culture, because the same elites have one thing in mind for Great Britain, and that would be to dissolve it into the corporate United Kingdom, its scripts and all the acts which come forth, to be nothing but a centre of education-programming for the global community, and a service and financial economy without any middle or dirty working class. All employment will be shifted to those foreign graduates within the system under which any, and all changes will go through unopposed. The same Crown has incrementally destroyed this nation in its signatures to all things UN, EU, NAAFTA GAAT, because of course the so named are also operations to which they and their partners wield the control. We cannot allow the destruction of our political system, we demand this coalition cease to act contrary to the will of the people, the country first before the protecting of old secrets. We have a coalition compromised, compromised by secrets the elites use to keep absolute compliance, the Liberal party are 100% banking puppets, ladies and gentlemen we today suffer a Crown coalition, we must not allow the Crown to dissolve what we have fought hard for, yet today we have forgotten the trials of pre bankruptcy, when the same Crown was moving on all fronts for total control of the nation. In 1930 the Crown achieved this as we all went cap in hand to the BIS for credit, 80 years the Crown has had full and complete control we have forgotten how evil it is and to what ends it has always moved. 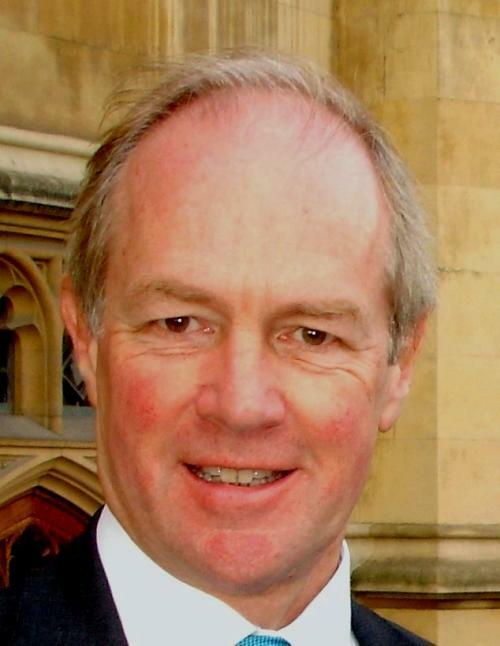 My source rebuffs the Guardian report in the first instant with information that the author of the above report; Chris McGreal, was in Washington when he wrote it, suggesting a Neo-Con script. After the shock of reading the article my source rang a colleague who had worked at Pelindaba during the period in which the article reports, his colleague was feeling the same and stated he was about to ring my source as he had seen the article he labelled a pack of lies. My source then explained the fact that South Africa and Israel had agreed a contract, but it was not for South Africa to purchase nuclear devices, it was for South Africa to purchase the know how, or Israel supply the nuclear scientists, and the reason Pelindaba was turned into a nuclear facility run by Israeli scientists, my source says it was the other way round and that Israel were in fact looking to have nukes built outside Israel, and in return the South African’s would be in a position to build their own. South Africa would also secure the supply of raw materials required for Israeli interests in the Congo. The mandate was to develop and build 10 warheads, one was built and tested in the South Atlantic and was a success. And as with all things military, the lie was thus formed that South Africa would build no more of the very naughty bombs, but of course they built a further nine which are the crutch of the following story. So to understand those who are explaining to Israel that possibly two of the still missing nuclear warheads could be on one of the ships attempting to beat the Gaza blockade, would show the real level of political control and help us all to better understand that for the elite, Israel has no meaning above its extreme reactionary responses, which keep up the fear ratio not only in the Middle East, but for all the allies of each side in the Middle East conflicts. So the above Guardian report could well be seen as an attempt to scupper the following information, thus keeping the tension rising. Tension-Fear = New World Order, Israel is but a pawn in the war games of the banking elite, do we continue to fall for this script? The story has a point of beginning with secret arms deals in the 1980, big money contracts and lots of kickbacks for London and Washington politician’s, what a path they were sucked into and not yet escaped. The plot presented here begins with a story that exploded in the mainstream leading to what became the Iraq super gun issue before First Gulf War. It is the people exposed and the secret connections which set the scene for the story of lost nuclear warheads and the leverage this achieved for the shadow government over our elected governments. With the super gun story out, exacerbated with the assassination of Gerald Bull, the head of SRC and Supergun designer, the government needed to be seen to be taking action given the machine lathes were being made in Sheffield and were known to be able to act in a dual purpose, i.e., they could be used to make the shell casings for the super gun known as Project Babylon, but this in itself seemed to be shielding another secret, that secret was Marlet IV, a projectile capable of putting a small satellite into space . The government presented what was to be known as the Matrix-Churchill trial and raided the offices of Gerald James’s company; Astra, removing all the office filing cabinets. There was only one piece of paper they required, the ledger sheet which showed payments to a company called; Casalee owned by John Bredenkamp. The money had been rooted from the Bank of England using the company Astra as the go between. This showed the money had been paid after they arrived in Oman. 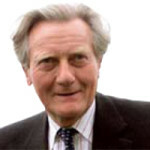 When the Matrix Churchill trial began the government realised that if they called Gerald James, former Chairman of Astra and the man who wrote the book; In the Public Interest, they realised that because the deal was part of the trade and Industry contract, the Judge would have asked for all the relevant files. Yet still this would create a scandal so they got Alan Clarke, (above left) former DTI minister, to go to court and change his witness statement, with the effect causing the whole thing to collapse before the real information started to emerge. They knew they would have to follow on with this and created the Scott Inquiry, but this created the situation whereby Gerald James would again have to present his evidence. So as a bit of a warning his brother was killed a car accident. David Cameron was sent by Margaret Thatcher to South Africa in 1989, at a time when sanctions against the apartheid regime was moving the South African economy to collapse. Interest rates were up to 24% creating the situation whereby people were leaving the keys to their home through the letter box and calling the banks to tell them they had left the property and the mortgage. Inflation was so high that cars requiring a fix were taken to the garage, but by the time the work was completed, due to inflation, the bill had become, too expensive and so people were not picking up their cars as they were fixed. One to watch out for as the financial system collapses in the present. 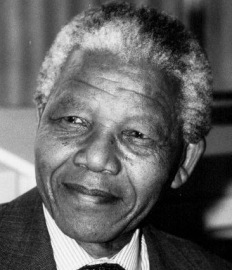 The South African government opened exploratory talks at Mels Park House in Somerset in the summer of 1989, which was a series of conferences, three of which were attended by Nelson Mandela direct from Robin Island, before he had been released from prison. So it is pretty obvious Mandela was in on the game well before he became president, and of course the fact he borrowed 5 billion for arms as one of the first actions he took when president, suggests the deal was made during the conferences in Somerset. 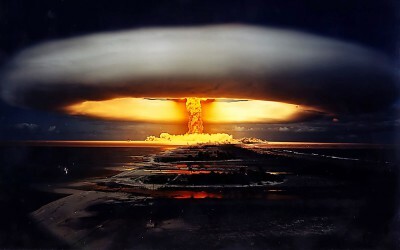 As it became pretty obvious the apartheid regime was going to collapse, the South African government told Thatcher they had nine atomic bombs, and that they would pay for her to send people down in secret to see the bombs so it could be determined what they were to do with the warheads, given handing over nine nuclear warheads to the Zulu may not be a very good idea. 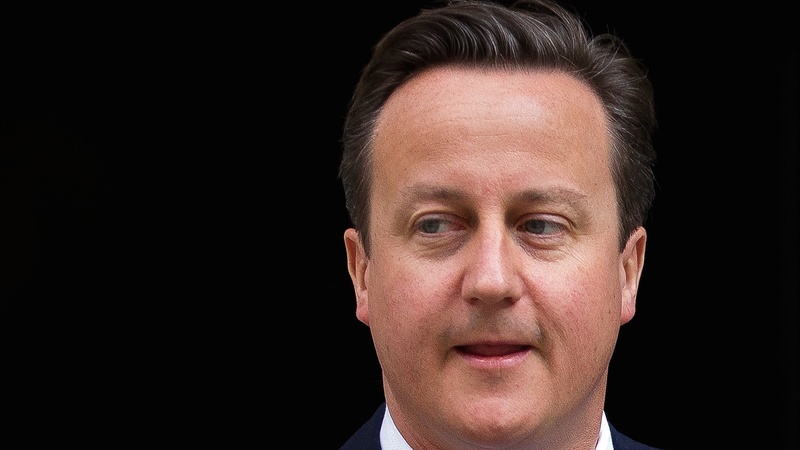 Enter David Cameron, who was duly dispatched to South Africa to see the warheads on what was named a; freeby fact finding mission paid for by the arms core of South Africa. Also on this trip was a senior engineer, know to my source, the then head of the Department for Trade and Industry House of Commons Committee. Of the nine warheads, three went missing, and as of today, only one of this three has been accounted for, the very one exploded in North Korea in 2009. That leaves two missing still missing that is to all outside the elite intelligence shadow government aka the banking elite, and missing during a purchase by the British government. When one considers the fact the high level intelligence operatives come directly out of special forces and the international banking raft of finance, it stands to reason, and documented fact, the same banking interests are in full control of the arms trade determined by the fact to procure the finance for such secret deals is always going to involve the money men. It then stands to all reason that to make missing a few nuclear warheads here and there, would be enough to force all standing and future governments across the globe to take full head of any and all warnings emanating from the same global intelligence. The global intelligence operate inside all national intelligence agencies yet outside the radar of the majority of intelligence operatives within them. As we look deep presently into the latest wave of seemingly insane actions by the state of Israel, it must now be understood that the same global shadow intelligence, has through these missing warheads managed to keep Israel in a state of complete and utter terror that these missing warheads may come into Israel in one of the many food and aid ships forcing their way into the area? The question to the fore in my mind would be to determine who is behind the insistence that the ships be allowed into Gaza? The nine warheads at that time had a massive value within the arms trade, and so the Africana’s who still held power were looking to make a lot of money, they knew the warheads had to leave South Africa before the handover to the black majority, and of course the dreams of riches enamoured some. John Bredenkamp (left) to name one. In order to ensure they made some money from the scenario, they set too to create the means of hiding the warheads in order they could be shifted out of the country, they modified the big shipping containers to take the cradles made. The engineering was carried out by a British company from July through August 1990, to accommodate the warheads. Everyone was told the warheads would go to America to be dismantled, but as with all things intelligence, there was a lot more going on in 1990, especially so from the shadow government. Saddam Hussein took a big bite from the CIA apple, based on the fact the CIA had made it very clear the US had no strategic interest in Kuwait, Saddam invaded Kuwait opening the perfect diversion while the warheads shifted into the next part of their journey. It is not without reason that Saddam and Robert Mugabe, have been labelled the sabre rattlers for the same banking elite. This indeed pans out if one looks back to events at which both these money puppets made seemingly disastrous moves for their countries, nothing in politics is by accident or not controlled by the international bankers to be more precise leaders are no such thing, they each get their nations credit in currency from the same bankers, all must implement the script and get the people to act according to the tune of the same banking orchestra. So we glimpse into the game at the level at which all government leaders and thus their respective parties are advised to act contrary to the mandate on which they became elected, the script to which they act, comes from the games of the International Bankers under which all nations are blackmailed and coerced to carry through. At this time, 1990, Thatcher decided Kuwait would be re-taken in 1991, based on the treaties we had with Kuwait, this of course meant that the mind of the American’s had to be changed, but at its highest levels it already was. Over the pond we had one George H. Bush in full control, this was certainly not going to be one Thatcher would have to lie flat on her back to accomplish. Such talk of war and a political shift to the same meant there would be funds available for all things war, perfect cover all round for what I see as the commencement of the means of total blackmail of Israel, South Africa, America, Europe and the UK, right up to 2012 and beyond, by the same International Bankers through their black ops shadow intelligence government, arms dealers and general Rambo wannabes. The real script called; soon to be missing nuclear warheads, would fix governments attention and place the same under the direct control of all things Intelligence, Britain is on the road to becoming the absolute puppet of British Intelligence. Not to mention the attention diversion from the insanity of Thatcher’s privatisation agenda. The Arms Core in South Africa at this time was almost in its entirety controlled by provable Zionist operatives, of course under the control of the International Bankers branch managers; the House of Oppenheimer, which controlled over 80% of South Africa’s economy when the whites were in control, and who still controls over 80% of the South African economy now it is the blacks in control, so no power change at all in South Africa, just new faces, same old proverbial, but the masses love it and that is all that matters here. Also around this time the Thatcher government were heading to the 1992 General Election, and as with all things politic they needed campaign funds, this of course would open up the government to all sorts of manipulations from varying lobby groups, and given they are in war mode, the arms dealers were in the shadows with lots of money. Enter Alistair McAlpine from the Tory party treasury, investor in arms and sure to see the possibility of a bob or two for himself, ensuring their messenger had a vested interest in the deal the same shadow government had in McAlpine the perfect lobbyist to remind Thatcher of the coming election fund requirement on top of the coming war, and in his wisdom suggested they create a secret war procurement fund which would appease the Tory party and create the very means of securing a massive war chest from which a few million here and there would not be missed, securing the campaign funds for 92. Money driving all morality and we wonder why we are as we are? Ministry of Defence, special procurement fund was thus set up, and to Thatcher’s delight her endearing son Mark, would just have to be involved.Thatcher now dribbling with absolute delight, my son will at last be the man I want him to be, were perhaps her thoughts, she is bagged hook line and sinker. The International bankers through their Intelligence networks are now in full control of the Thatcher government, of course Margaret in her Methodical ego still convinced she is Elizabeth I, and in full control of everything. Iron Lady to the people, putty in the hands of the Crown. Also at this time Carol Thatcher was being a little naughty with Jonathan Aitkin, who of course as all married lovers do, was whispering sweet I will leave my wife soon, garb. Thatcher the empress with the world at her feet, and, on the back of her 1982 victory in the Falklands, about to set off again to war, of course she never had to witness the carnage at Depot Parachute Regiment, Aldershot, the real price of victory, but hey it’s the perks of the job. Jonathan Aitkin at this time was involved with a company called BMARC, an offshoot to the company Astra, so Thatcher is at this point surrounded by arms dealers with secrets. What happened to her Methodist ideologue and our democracy? Astra and its subsidiaries was getting the nod on contracts under the new war footing, the Military Industrial Complex completely in control of the Thatcher government because of course half of her cabinet were investors in arms and her two children were now up to their neck in the game to, that is leverage, thus any ideas of Thatcher the Independent, fly right out of the window from this point. During the early 1980s, the Crown had Thatcher from yet another Intelligence network, the bankers, she set forth the raft of privatisations of our entire economical backbone, itself the major shift to control by all things corporate. 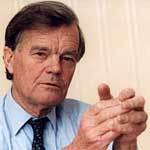 With such a massive game playing out and with so many duped politician’s being dragged into a game they knew nothing about, it stands to reason the next time the Conservative Party gain power it had better be so under the direct control of those already aware of all that has gone on since 1987, Cameron is in, with Kenneth Clarke as Justice Minister and Lord Chancellor looking out for him in all things legal. Cameron is young, in fact we are the same age, but Cameron has been in full knowledge of the missing nukes as the emissary sent on the fact finding mission in 1989, so in Cameron the Crown has a new generational puppet already in the know so to speak and without doubt from the perspective of the Tory Grandees, he was the only choice of his age group. So back we come to the nine nuclear warheads, secret this must remain and so public tenders to move these WMD’s out of the question, secret procurement again must be the order of the day and so yet another secret ritual must be pulled from the cauldron, an urgent operational requirement, is declared, what says Blighty, yep you heard me, an urgent operational requirement for the purchase of three nuclear weapons has arisen, and must now be signed by a cabinet minister.who’s the lucky sucker then? In this case the requirement would be for the purchase of three cylinders, the camouflage for the contained warheads, at a fixed price to be delivered to Oman. This procurement would then move into the Department for Trade and Industry (DTI) to be signed off. My source has direct experience with such procurements having sat in them. The DTI would then contact the contracts branch at MOD, Sloane Square, to draw up a contract in the name of the MOD, acting as agents for the DTI. The minister who signed this UOR, was Peter Lilly who headed the DTI at this time, also signed by Stephen Kock on behalf of Astra Group, who would implement it via John Bredenkamp’s company Casalee, and a government agent who would sign off all the invoices after the three cylinders had arrived in Oman. 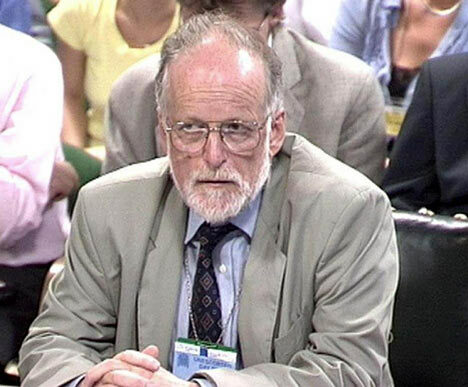 Enter Dr David Kelly, the only man with the qualifications to act as agent. Kelly would have had a letter of comfort and instruction from Peter Lilly the head of the DTI, explaining there was a UOR to buy three atomic bombs, which for security purposes were named cylinders, and that he, Kelly, would monitor everything from the bombs being placed into the transit cradles, in South Africa, to they’re unloading in Oman. Also Kelly would be under the impression that these warheads may have to be used, so compartmentalising the information David Kelly actually had in relation to the procurement. After the warheads were placed into the cradles and into the containers, the umbilical cord to monitor the temperature of the warheads, the doors shut Kelly would seal the containers with his seal placed on the padlock. The containers were then moved to a private rail siding, and loaded onto a train and the nine hundred or so miles from Pelindaba  near Johannesburg, to the coast of Durban, Kelly would then sign he had seen the containers to this point and would sign again when they arrived in Oman. On the ship and ready to go, at which point private investors money is needed to pay the supplier, or the product isn’t leaving, so from a fund put together by private investors, the balance is paid across to John Bredenkamp’s company which has a head office in Durban, and all is set for transportation to Oman. Meanwhile this UOR is going to require the signature from Thatcher herself, and it is decided this will be achieved as the last thing she will do when she is thrown from office by the arms dealers amongst her cabinet, so the plot thickens. Of course Thatcher had to go given her stance on the European issue, so the story of these three warheads has just gotten a whole lot bigger. The ministers involved in the removal of Thatcher, not only had their arms dealing reasons for her removal, they were also set to profit financially from the Brussels deal, known as the Maastricht Treaty. This treaty changed what was the common market connection between Britain and Europe, into the European Union, and the Lisbon Treaty. This changed the political alliance from one of market considerations to full political and financial union with the EU, and the very reason Thatcher was against the treaty, and for her valour in standing hard on this issue, the cabinet was bombed at the Brighton Conference, the means of instilling terror amongst the political class and the means to procuring full and total obedience by successive governments to all things Intelligence. So those who finally pushed Thatcher would be paid handsomely by the European Union, not to mention the kickbacks as the union would be formed. 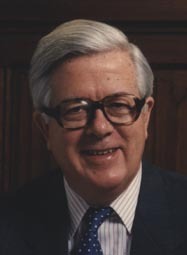 The removal of Thatcher began with Howe resigning thus able to make a big abdication speech in the Commons, sticking the boot into Thatcher causing the leadership contest. So Thatcher had to go, and they could cover some heinous high level arms deals in the process, terrify successive politicians into submission to all things intelligence, and throw us into full economic and political union with the EU. Power don’t you just love it? In 1991, there were three plutonium warheads dumped off the coast of Somalia, ditched by a B52 which was sanctioned to patrol the airspace of Iraq, particularly Baghdad, over fears Saddam may release his biological and chemical weapons on the troops as they massed over his borders. My source explains the bombs were ditched as the bomber got into serious fire trouble, which created the danger of a risk of nuclear explosions, and just for added excitement coming as the First Gulf War began. The mission of the B52 was to be ready to drop its nuclear payload should Saddam release the chemical weapons provided him by the same arms dealers during the 1980s. The B52 (left) ditched the bombs after getting into trouble and of course remembering George H Bush was in full control of all things American military, cover up was essential. The news was very quickly intercepted by the South African intelligence who had a plan. The South African Arms Core decided to pitch a deal to the Americans in an attempt to stop the handover of South Africa to the blacks. They offered to find the missing three plutonium warheads and remove them to Cape Town, were the Americans could collect them, in return the Americans would stop the handover. 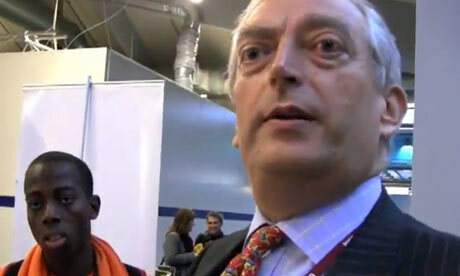 Enter Magnus Milan, the deposed defence minister from South Africa and still right in the centre of all things defence. A member of the South African branch of Masonry; the Afrikaner Broederbond, [See Further Study] Milan was perfectly placed as the middle man to whom Bredenkamp pitched the deal. Again we see the none-conformist movements big in all things war, we also know the Pearson family to be the benefactors of all things Shell-Mex , petrol, publishing, and some very sinister laboratories north of London, in Brickendonbury. The nonconformist Methodist construct is big in this whole shift to militarise the globe, take note here. And so it was pitched to Milan to get the Arms Core to buy the three atomic warheads, delivered Cape Town, upon delivery in Cape Town the money would be released from Europe to pay the traffickers, Bredenkamp and co.
At this point as the deal was to be secured, Milan broke the news that F.W. De Klerk, had stopped the whole thing dead in its tracks, based on a phone call from London and one John Major, who would have known of the deal due to the fact Milan would have to have sounded out the American’s over the potential deal. The American’s claim they could not stop the handover or they ran the risk of losing the black vote domestically, but I see a higher level play here , the same Old money now Christian Zionist-none-conformist’s, in full control of the Military Industrial Complex, were creating the means to outright blackmail of Israel, South Africa, the British Government for the coming invasion of Afghanistan, Iraq, Pakistan and Iran, thus having all the said governments Act under the script written by Intelligence, in absolute fear of having rogue warheads land in their countries, primed and ready to blow. John Major at this point is a major asset to the global play through the Bank of England’s, Federal Reserve, and its CIA. High places demanded these warheads remain lost, at least to the level of governments. This is surely the point at which John Major secured his role within the Military Industrial Complex as a valid asset, and we saw the payoff in his role as the Carlyle Groups EU head, after he left office. This program exposes the history of the Carlyle Group, from its inception as a private equity firm to it’s precent status as one of the largest defence contractors in the world. Strange set of affairs indeed, yet not so if we go back to the time of English Civil War, the Whigs were formed to support the Zionist-Dutch takeover of Britain and all that Cromwell achieved, those who came forth to oppose were thus named, Tories, aka Catholic Bandits, so the real battle lines drawn after the Civil war was between the nonconformist Puritan sects, Verses the Church of England and all things Catholic, all thrown together under the title Catholic bandits. What we have in today’s coalition, are the Whigs, the Liberals, and the completely puritan takeover of what was the opposing force to these money lenders at big interest, the Cameron Conservatives. Forget not, both Charles I and Cromwell were Freemasons, of course Cromwell was tasked to bring in the Noachide Law masonry direct from the Dutch Zionist bankers, so at the time of the Civil War English Freemasonry was under direct attack along with the Church of England and all things Catholic. See signatures by the Queen to all things UN, EU. Back to the story, Milan would say to those involved in this deal, all that remains now is for the American’s to send the Marines into Somalia,  and this certainly came to pass did it not? 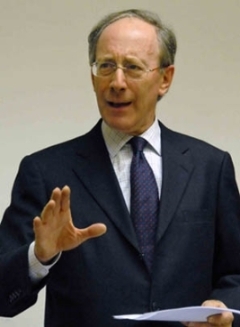 The Military industrial Complex now places American marines in Somalia to take control of the area in which the warheads were found, and the Ditchley Foundation which is Tavistock, would get a future ex prime minister; John Major as yet another puppet to act all things war. Stephan Kock  was working as a maverick within the company Astra, at the time Gerald James was the chairman, according to James at this time, he was not aware of this behaviour, kept in the dark, creating the thrust required for James to write his book; In The Public Interest, and make a witness statement for differing government bodies, including the Information Commissioner, who James claims acted incorrectly, not a good sign for my current issue for which the ICO is currently investigating. 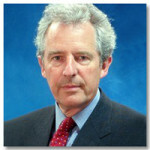 Kock was also said to be head of Group 13, the government’s assassination and dirty tricks squad according to Richard John Rainey Unwin, a close associate of Kock himself who was a contract MI6 agent and Consultant to Astra, .Kock and Unwin, with Martin Laing Construction, negotiated the 2 billion Pound Malaysian defence deal before George Younger, the Defence Secretary even knew about of it, said James about his knowledge of Kock’s shady dealings. In a letter dated June 16, 1989, on Midland Bank stationary, sent from Kock to Mohammed Hashemi, a representative of the Iranian Defence Ministry and of Tagell UK Limited, a major company working with Astra in the arms trade to Iraq and Iran, consultant Kock reassures Hashemi high level British officials, including Lord Peter Levene, were making sure the CATIC arms contract to the Middle East would proceed smoothly. Let me assure you that the UK government at the highest possible level regards the contract with CATIC as important and has taken steps to endure that matters proceed smoothly to completion,â€ wrote Kock in the business letter. Kock signed the letter as a consultant, citing Lord Levene’s sanction of the PGS to China and then to Iran. Further in an April 28, 1987, letter from Kock of Midland Bank PLC to the Secretary of State for Defence, George Younger, showing his key role in negotiating a top secret defence deal with Malaysia, arms which would eventually end up in Iran and Iraq. Very naughty indeed, and gives insight into the levels playing this game. So we have some very shady dealings going on, lots of the debacle was in the public eye, but the missing nuclear warheads certainly was not, which brings us onto the next prime puppet to play a big role in this dastardly act from people who should know better. The medics who attended the scene at which Dr David Kelly (right) was found dead, later in the whole event proved David Kelly’s death was not a suicide, as such at the coroner’s inquest, coming after the Hutton Inquiry, the Oxfordshire Coroner, stated they would not reinvestigate the conclusions of the Hutton Inquiry, thus preventing the medics evidence from proving none suicide, at least for documented history. American investigator Stephen Dresch,  came over to England and attended the inquiries, he came on the basis he knew this was no suicide, but his main interest was to see who else was attending and why? My source was put into contact with Dresch, by then back in the States, by the medics who had explained all to Dresch. Dresch brought with him a photographer; Bob Cohen, in order all who attended and all that was said would be recorded. After a little digging we find Cohen to be born in Rhodesia going to the same school as John Bredenkamp. Ok with a twelve year difference, but schools put out the players for the future, take note. Stephen Dresch (left) was in South Africa when the weapons were being removed, and was close to the then head of South African Military Intelligence; (BOSA) , and a high ranking general.Â The General was found dead some years ago and suspicion lies from the fact it was he who signed off the chemical weapons to be destroyed, when in fact all he had witnessed was the barrels moving onto the ship before they were released into the ocean, he had not seen the contents of the barrels. Within two hours of explaining this to his fellow soldiers he was dead. The sanctioning of the bio-weapons destruction came from Nelson Mandela himself, and signed off so. I see a clear script in this story to which all governments act, a script supported by real acts of deception acted by the same shadow elite. In allowing warheads and bio-weapons to become lost those same high level players have since used the very loss of these weapons as the means to turn nations into blathering idiots, handing all power through taking their advice from the Intelligence networks. This is exactly as was achieved in the US as the Rockefellers had the American government hand all power to they and their shadow government under the threat of extraterrestrial invasion. The consequence of the latter event giving the same elite banking networks from Europe full and total control over the United States of America and its body politic, in order via the US the CIA and all things military intelligence, could set the scene for today as we teeter on the brink of full attack on Iran by having Israel do as it has done since the 1990s, and act contrary to its own survival. Stephen Dresch having been present in the removal of the nuclear warheads from South Africa, being aware of the death of his friend, the General, two hours after he told his soldiers the fact he had not seen the contents of the barrels, Stephen Dresch had a lot of questions he needed answers to. Stephen Dresch went out of his way to attend the inquests with the sole aim to see how the death of Dr David Kelly fit in with the South African mission for which Kelly was chief signature. Dresch died in 2006 of cancer being a heavy smoker, and for the irony left all his research to Bob Cohen. During one of the clips it had George H. Bush present his biggest fear was that Saddam would release his biological and chemical weapons upon the allied forces as they assembled to retake Kuwait, to which the general replied; and you told me to have facilities on hand to be available to nuke Saddam’s regime in Baghdad should that be the case. James Baker III, the American Secretary of State at the time of the First Gulf War, had publicly warned Tariq Azis that should they use biological and chemical then nuclear facility would be on tap over Baghdad. Dresch after watching this anniversary documentary, put out a summary on the web of the Somalia incident and immediately rang my source to explain his astonishment at the fact what my source had told him some time ago, to have surfaced, that his summary placed on the web wasÂ getting feedback some twelve years after the event. For Dresch it was absolute confirmation that the event did indeed take place as is presented in this report, but my source already knew this to be so. After the death of Dresch, Bob Cohen. Owner of Transformer Films, produced footage of Dresch but only as it related to Anthrax, and presented a film about Anthrax called; Anthrax War, which was attempting to present the idea Dr David Kelly was assassinated because of his specialised knowledge of Anthrax. This report if nothing else, should make one thing crystal clear..
We suffer (consent) not because idiots are idiots, we suffer because we are apt to believe idiots. In allowing this insanity to have a voice, and then for everyone to follow that voice-order, we are all acting the script of the idiots, we then blame the idiots which gives them all the power they need to take control of that script and move it as they wish, because in giving this power to the idiots voice, makes the script tangible, and we then hand it over to them to sort out, which they will to their advantage. As for Israel, if this is the real reason you act contrary to all sanity, then for gods sake feed the people of Palestine from within your own borders. It’s not rocket science? lifeinthemix has sourced quite a lot of material within the report, the information regarding the nuclear warheads as missing, comes from my source and his colleagues, and therefore we take our source on trust. As such we cannot be held responsible for inaccuracies, should it be found to be the case coming from our source. We do however consider the information and narrative to be in the public interest and therefore published as a record.